The much anticipated 2018 NASA International Space Apps Challenge, hosted by nHub Nigeria kicked off at 10am on Saturday, October 20th, 2018 was a wrap. The annual 48-hour hackathon which takes place in several cities around the world brings together coders, scientists, designers, storytellers, makers, builders, technologists, and everyone enthusiastic about space come together to address challenges we face on Earth and in space. Day 1 met the arrival of the participants and the formation of teams as prior to the day of the event, NASA had opened its website for registration. This year’s challenges, gave participants the opportunity to contribute to the advancement of science and space exploration by working on certain challenges. The teams and their different challenges are as follows. Team FLOEWS: Flood Early Warning System. It’s an all-round solution that monitors and forecast flood imminence, thereby, disseminating the forecast as warning to the inhabitants of those floods vulnerable corridors, for early preparedness, awareness and response. FLOEWS also serves as platform for flood risk reduction and overall strengthening path to resiliency. Golden Halo is a platform aimed at helping the individual know about the weather conditions of his environment and the possible disease outbreak in that location. 3. TEAM FREEZE – SPOT THAT FIRE! Flame capture is aimed at prevention of fire casualties using a general platform where citizens can report fire incidents and get help we also give fire outbreak prevention tips and what to do in the case of a fire outbreak. Day2, the second and final had participants putting finishing to their demo’s, prototype’s and getting set to pitch their projects. The Lead Research and Development, nHub Nigeria and one of the Judges at the competition Mr. Theodore Longji, in addressing the participants before their presentations assured them that their efforts would pay off some day. He also charged the participants to be encouraged despite the outcome of the competition. “No solution is wrong, only the timing may be wrong plus everyone is a winner”. 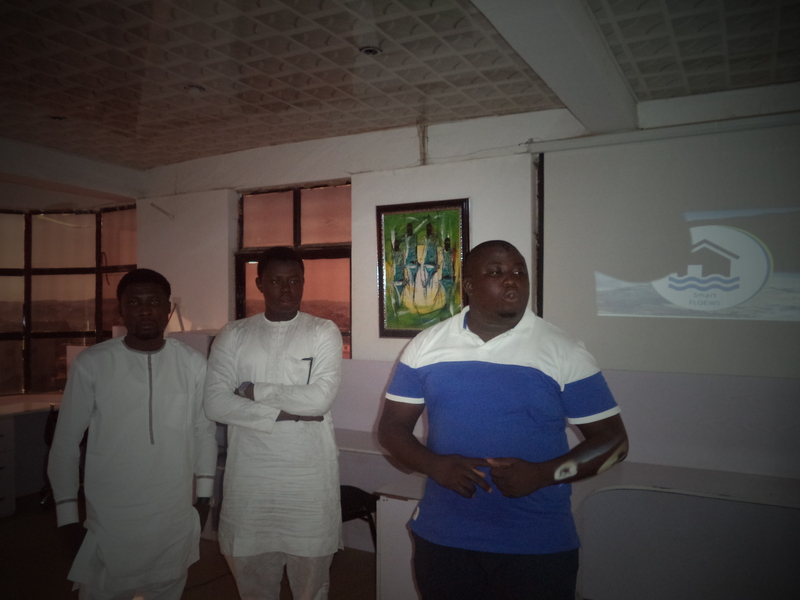 The two day event culminated in a pitch session. All the teams, made presentation of Demo’s and Prototypes in front of a panel of judges which included Mr. Alams Mummuan, a lecturer in the department of computer science, university of Jos and also a security expert, Mr. Mogan Gofwen, a software and security Expert, and Mr. Eric Nanle, Incubation Manager, nHub. Each team had 5 minutes for their presentations before entertaining any questions. Anticipation was high as the winning team was going to be selected. After the judges had deliberated and the audience had voted for the “Peoples’ Choice Awards”, the results were presented. Team Floews emerged winners with their ground-breaking invention for monitoring and forecasting. Followed by Team Golden Halo. Team Freeze won the people’s choice award for their video presentation. All in all, the teams performed remarkably well. 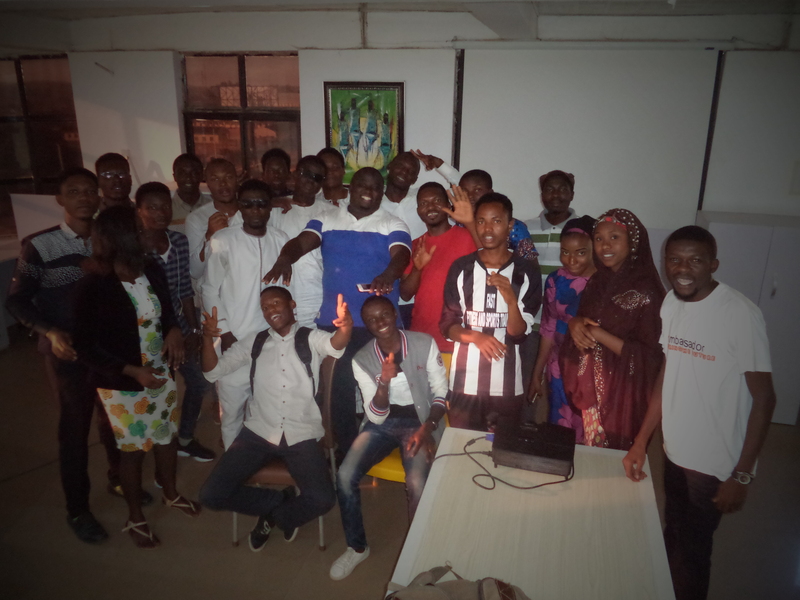 The SpaceApps challenge was a huge success and we look forward to doing it bigger and better next year. We would love to thank our sponsors, SmartWeb, Logical Address and Qitech for helping us put this up.